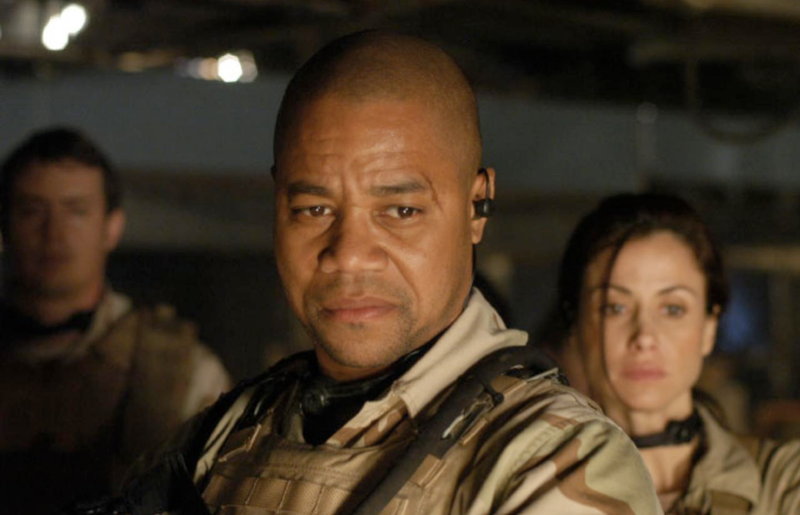 Directed by Jason Connery and staring Cuba Gooding Jr. this is a pseudo religious horror movie with a familiar theme and a few familiar faces. Like so many low budget movies of late, The Devil's Tomb secures a couple of big name stars to play small roles to boost it's marketability but this doesn't really help the production value in this case. a secret is hidden and evil is unleashed....so it's basically a cross between outpost and The Thing. 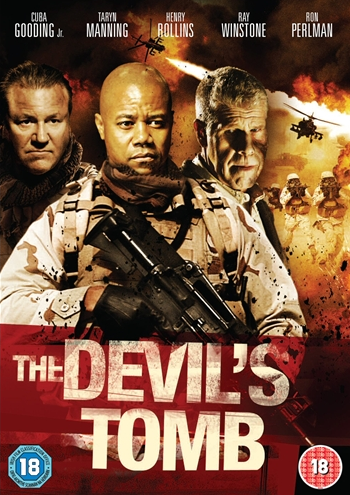 Where Outpost excels with it's £200,000 budget, The Devil's Tomb fails with it's $10,000,000 budget. Now I actually like Cuba Gooding Jr. He's a great actor when he puts the effort in and I like some of his recent efforts - he is becoming a kind of B-Movie legend, BUT this film does him no favors at all ( and he does the film no favors .) His expression hardly changes throughout the entire think. Ray Winston has a minute role which he manages to make ridiculous with his bizarre accent and although Ron Perlman's performance is ok, it is not enough to save us. The rest of the cast a ok, by TV standards, but there are times when it feels like a cheap episode of star trek next gen.
All in all, the direction is ok, the story is predictable, the effects and makeup are good, the characters are poor and the acting is wooden ok.
Release Rating: 7/10 - Good transfer, cast & crew interviews.